Professional golfer Hudson Swafford played in the Jones Cup Invitational three times. 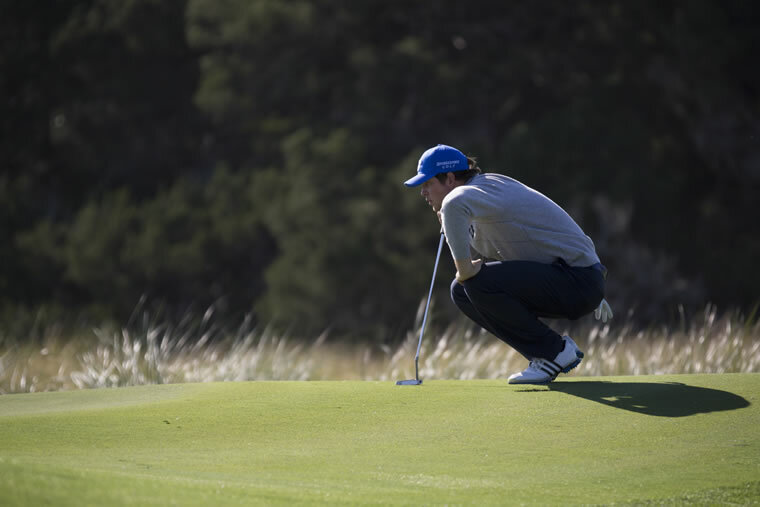 The Jones Cup Invitational, hosted at Sea Island’s Ocean Forest Golf Club, has a rich history of helping amateur golfers reach their full potential. 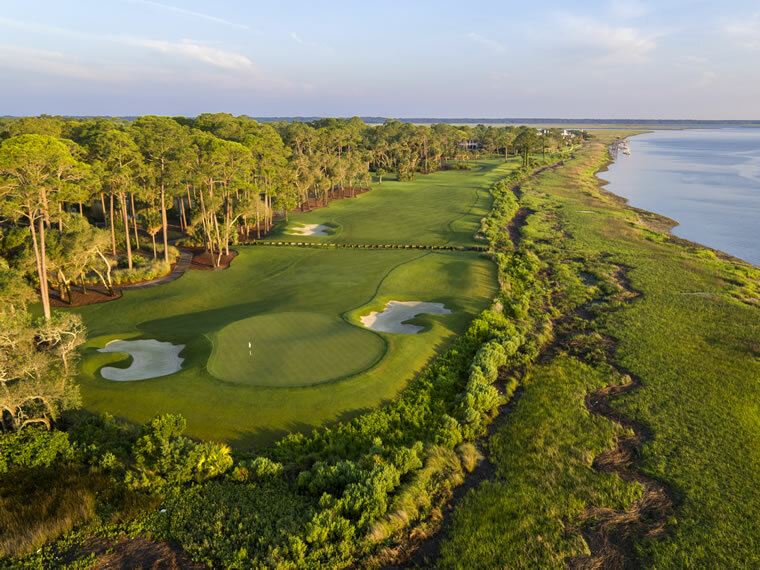 Initially founded as a way to celebrate both amateur golf and the camaraderie that is associated with it, the annual Jones Cup Invitational at Sea Island’s Ocean Forest Golf Club has evolved to become a rite of playing passage to the game’s most competitive fairways. The tournament, which celebrates its 15th anniversary in February 2019, offers an exciting and challenging experience that has helped forge a path to the PGA TOUR for a host of golf’s brightest young stars. As a preview to hosting the 38th iteration of the biennial Walker Cup, which featured a match between the United States and the Great Britain and Ireland (GB&I) teams in 2001, Ocean Forest founder Bill Jones III wanted to give his newly opened course a test run for the world’s top amateur players, and thus the Jones Cup was born. Featuring the likes of Bubba Watson, Lucas Glover, Luke Donald and maiden tournament winner D.J. Trahan, the club-run and -sponsored event proved an instant success. The inaugural Jones Cup also cemented the reputation of the Rees Jones-designed course as a true championship test, and the 54-hole stroke play tournament further achieved its aim as a Walker Cup proving ground. Jones turned to prominent amateur golfer and charter Ocean Forest member Jim Stahl to lead the event early on. Because of his amateur playing success and extensive travel competing in amateur events worldwide, Stahl played an integral role in securing participation by many of the world’s best amateurs from outside the United States to come to Georgia to compete in the Jones Cup Invitational. Today, the event boasts broad participation, which was evidenced by the 13 countries that were represented in the 2018 Jones Cup. After holding biennial tournaments from its inception in 2001, the Jones Cup became a yearly staple in 2009, and has since enhanced its field to more than 80 players. Based on the success of the Jones Cup, the event has since given rise to a pair of other top amateur events, the Jones Cup Junior Invitational (founded in 2009) and the Jones Cup Senior Invitational (founded in 2011). “It’s gotten to the point where it’s become synonymous with amateur golf, and an opportunity for us to continue our dedication to amateur golf and different demographics,” Reitz says. Ocean Forest has continually proven to be a worthy challenge for Jones Cup participants. “Rees Jones built a legitimate championship test,” Reitz says. “… It is just a very stern test of golf … and it really defines who has the mettle.” Built right on the ocean, the links-style course also has elements of a parkland style due to its tree-lined fairways. “[The course also includes] some dunes, oak trees, lakes and a lot of wildlife,” Reitz adds. Adding a measure of tight fairways and small greens only enhances the challenge. “It puts a [premium] on players who control their golf ball, and in reviewing the list of our past champions, you can see that,” Reitz notes. In 2007, Ocean Forest enjoyed a course renovation that focused primarily on bunker movement, making it even more challenging. Garrett Barber (second from left) won the 2018 Jones Cup. To look through past Jones Cup fields of contenders and champions is to witness a list of players who have become household names, including Dustin Johnson, Rickie Fowler and Jordan Spieth. 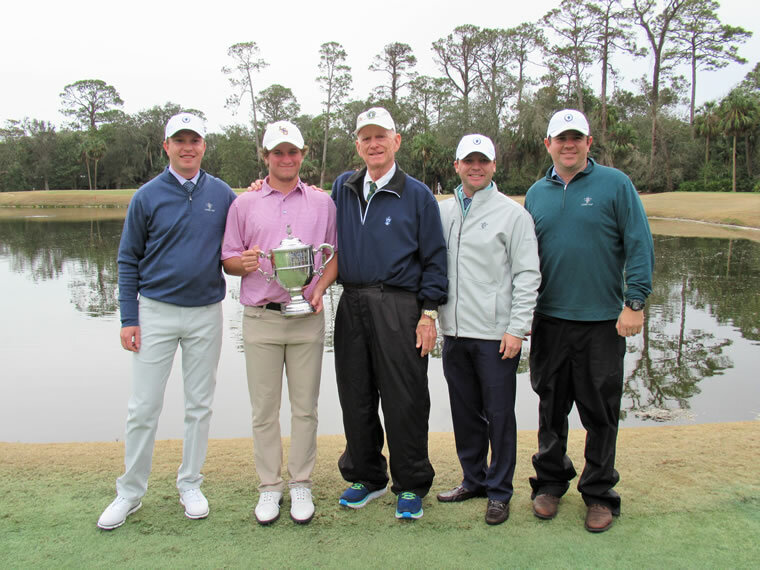 In 2019, for the fourth consecutive year, the Jones Cup victor will earn further fruits for their labors, with the winner granted an exemption to play in the PGA TOUR’s annual RSM Classic (contingent upon his amateur status), hosted by Davis Love III and played at Sea Island Golf Club in November. From major champions to Ryder Cup members to three players who have held the world’s No. 1 ranking, a Jones Cup trophy on a golfer’s résumé seems to confirm their talent and ability to make it to the winner’s circle amid the professional ranks. Following the 2001 win of two-time PGA TOUR victor D.J. Trahan, eventual Web.com Tour champions Nicholas Thompson and Luke List were awarded their Jones Cup trophies in 2005 and 2007, respectively. In 2009, Kyle Stanley’s win at the Jones Cup paved the way for his pair of PGA TOUR wins, before a slew of other major names cut their TOUR teeth with Jones Cup titles. In 2010, it was eventual Masters Tournament champion Patrick Reed winning the Jones Cup in a playoff and, two years later, fellow future major winner Justin Thomas secured his own Jones Cup title. In 2014 and 2015, budding Canadian stars Corey Conners and Austin Connelly came south to claim their Jones Cups before Southern California amateur legend and current PGA TOUR player Beau Hossler traveled across the country to earn the 2016 title. Over the past two years, rising star Braden Thornberry of Ole Miss took the Jones Cup as the only player to shoot under par, before highly touted Louisiana State University incoming freshman Garrett Barber grabbed glory with a playoff win at this year’s tournament, which was held in January. 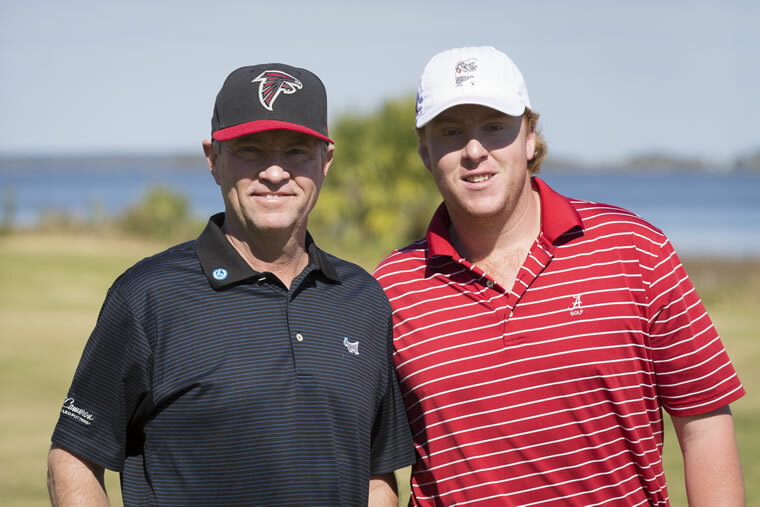 Davis Love III (left) and his son, Dru Love, who has played in the Jones Cup Invitational. 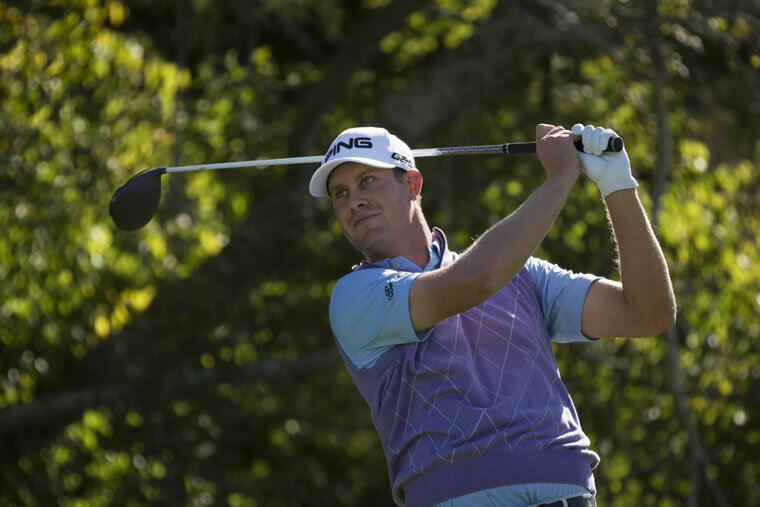 Before he became a PGA TOUR winner at the CareerBuilder Challenge in 2017, Hudson Swafford was honing his amateur game as a participant in the Jones Cup. A three-time All-American honoree at the University of Georgia, where he graduated in 2011, Swafford competed in the Jones Cup in 2007, 2009 and 2011 (finishing T16 in his latter two appearances). A year after his final appearance, he would go on to achieve a Web.com Tour win at the Stadion Classic. In 2010, although he did not play in the tournament himself due to nursing a shoulder injury, Swafford was still a part of it, caddying for Bulldog teammate Harris English, who would go on to finish tied for eighth that year. Now a member at Ocean Forest, Swafford has returned to the Jones Cup for a fireside chat with participants, noting that “it’s still fun to go back and talk to the players.” And he still plays the course readily—not that he finds the track any more benign since becoming a PGA TOUR winner. Take a closer look at the accomplishments of some of the golf greats who have competed in the Jones Cup Invitational over the years, along with their subsequent career accomplishments. Harris English went on to achieve two PGA TOUR victories.